We specialise in Installing New Boilers whether its a straight swap in the same location, a re-site to a different room, removing a back boiler or floor standing boiler and converting your system to a Combi Boiler. We will carefully plan and install your new boiler with minimum disruption to your home. We carry out Annual Boiler Services for any type of boiler or if you simply want your heating system checked over we will help you to maintain your boiler/system. We offer Landlords a great service to make sure your gas safety certificate is up to date annualy ensuring nthe safety of your tennents. We also carry out any heating system repairs with our FREE emergency call out service. We Install. We Maintain. We Repair. As Colchester’s Premier Boiler Installation and Repair company, you can trust that you are in good hands with all your homes heating requirements. We provide a second-to-none boliler service to all our customers. Whatever your heating requirements, from a new boiler install, trouble-free boiler maintenance, planned boiler servicing or emergency boiler repairs; Colchester Boiler Installations are here for you. We also offer a FREE design service if your looking to completely upgrade your heating system and radiators. Contact us now for your free no obligation quote and we will offer you our expert advice while listening to your individual needs and deliver an excellent service time and time again. All of our work comes with a 2 year guarantee. 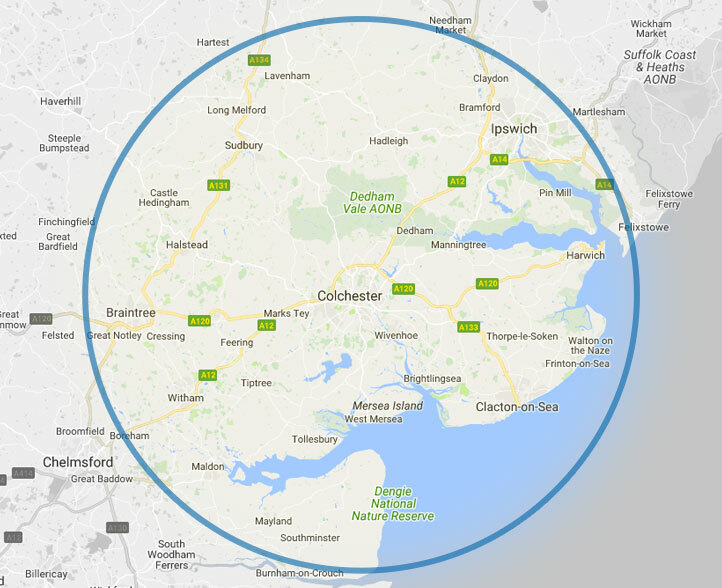 Our service area includes Essex & Suffolk.